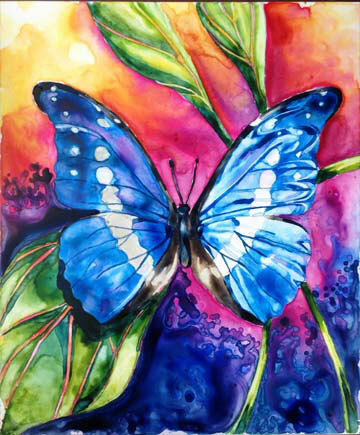 Painting watercolor butterflies and wings in the wind are a little out of my comfort zone, but Blue Morpho butterflies are my favorite. They have a shear and almost a glassy texture look to their wings. They remind me of blue dragonflies in a way. I was inspired by a friend who sent me an image of a Blue Morpho. 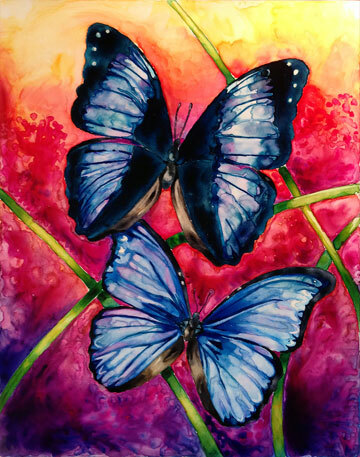 I stared at it a long time, because butterflies are a little out of my comfort zone on subject matter. Well I took a chance to start painting beautiful creatures with wings in the wind. Butterflies are often considered as a sign of life, as it’s an adult which is at the peak of its life and are often observed as a symbol of love. 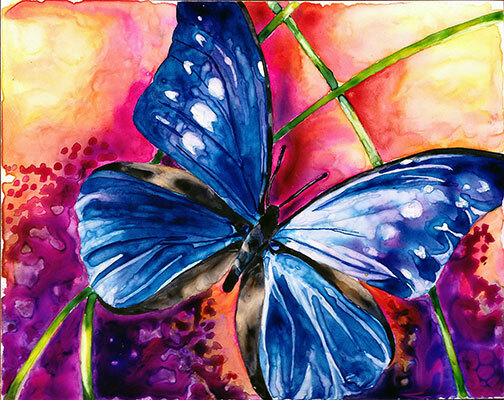 In many cultures, butterflies are used to symbolize rebirth. I figured I would take a chance on painting butterflies and I am very pleased with the results. I hope to add more to the collection and other animals and insects with wings in the wind.